My husband's heritage is Philippino, hence our beautiful Spanish surname. 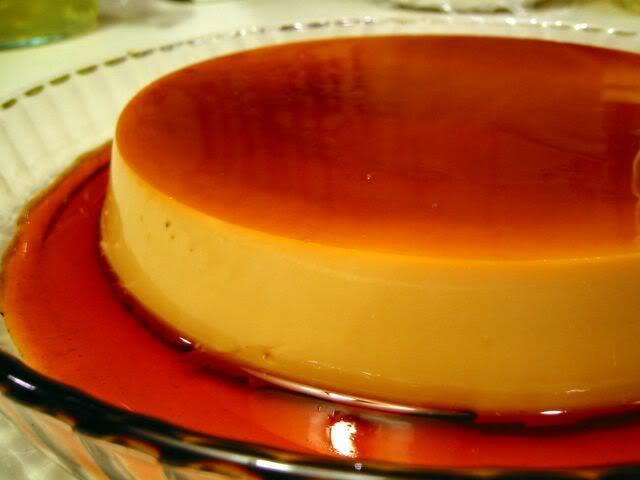 Over the years I have attempted many of their mouth watering dishes - however, my most successful is Leche Flan. Basically it is like a creme-caramel. You make a toffee, then make a reduced milk custard and "bath" bake it in the oven. Yet, having five children I don't usually have time to stand around reducing milk... This recipe basically uses condensed and evaporated milk... so it's just already reduced for you - so, so much easier!! You need to use a non-stick saucepan. I have made this in regular saucepans before, but it is a horror to try to get the cooled toffee off afterwards. This is the only part where you really have to stand and look after it. Put the sugar in the pan and put on a low-medium heat. Keep stirring. 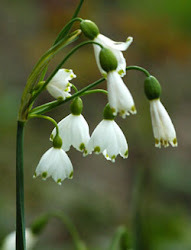 The sugar will soon start forming little clumps and then start to melt. Keep stirring. As soon as the sugar is the colour of maple syrup - take the pan off the heat. Pour the toffee into your smaller heat proof dish and swirl it around to cover the base. It will set hard quite quickly. In a bowl whisk together the eggs, milks and vanilla. The more you whisk, the more beautiful little air bubbles you will get in your custard, which allows the toffee to later seep through - mmmm. Pour the Custard into the toffee based dish. You might hear some horrific cracking - don't worry, it's just the toffee complaining. 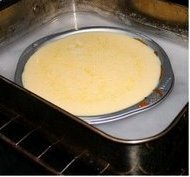 Place your small custard filled dish into the larger dish and pour boiling water around it to the level of the custard. Be really careful - that water is boiling hot, and usually pretty weighty - get it in the oven, middle shelf. It will take about an hour to cook. You will know it is ready when it has very slightly light brown patches on top and the custard is firm to touch. Carefully remove and allow to cool. You can now remove it from the bigger dish. Put your custard in the fridge for at least an hour to cool completely. Then the tricky part - removing it from the dish on to a plate! The toffee is now soft! You need to put a big enough plate under your small plate and carefully yet quickly flip everything over... it's good if the plate has a bit of a "lip" on it so the caramelly/toffee sauce doesn't all pour off! I usually find running a knife around the edge of the custard first helps it to release on to the plate - sometimes it also needs a little stab in the middle to break the "air" seal and release it.